Add Adapter and Message Class functionality to products using field-proven software source code available from the inventor of ControlNet™ – Rockwell Automation. 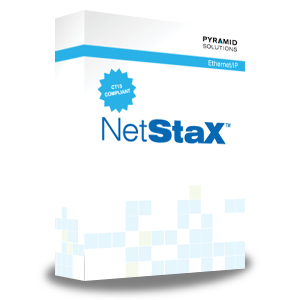 The NetStaX™CADK comes with ControlNet Adapter Class example code (CNA30S) which gives product developers a complete set of functions to enable ControlNet connectivity. CNA30S also enables connection of a product to ControlNet without requiring detailed knowledge of the ControlNet protocol or the interfaces to the ControlNet ASICs. The example code is a set of ‘C’ source files organized around an object model that uses messages to communicate between objects. The simple design minimizes the need for globally-accessible variables. The code implements each protocol level of the communications as one or more objects. A ControlNet Scanner Development Kit (CSDK) is also available for building Scanner, Adapter, and Message Class devices.